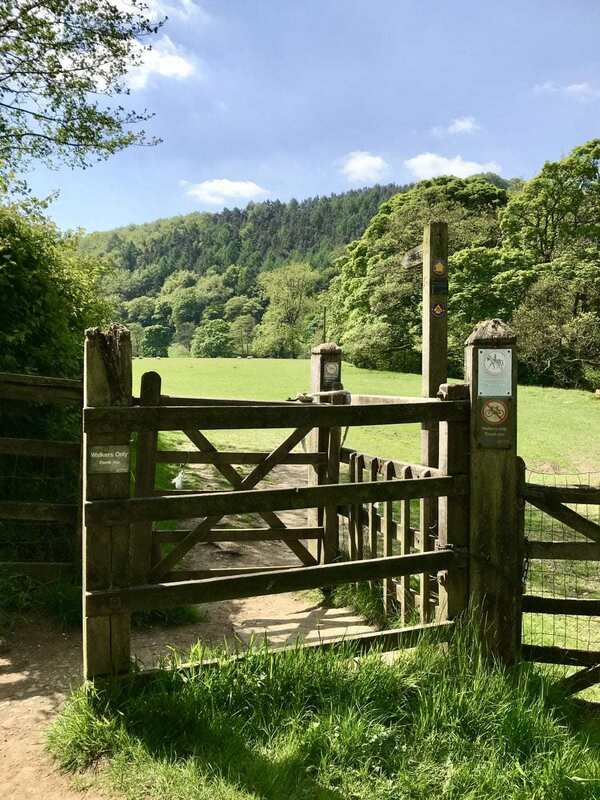 This lovely walk starts and ends in Hathersage, but meanders along the River Derwent to the pretty village of Grindleford and back, taking in beautiful countryside along the way. It is relatively flat and gentle with only a few small hills, and for the most part uses well-made paths and lanes. 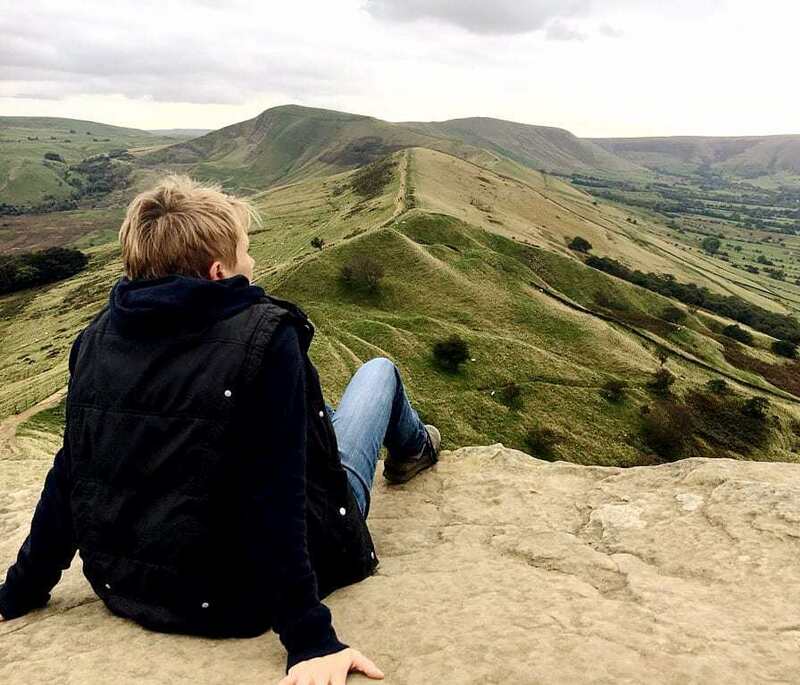 There are two cafes and a pub for refreshments en route, and Hathersage has a wealth of shops and eateries to enjoy before and after the walk. Park at the public car park in Hathersage (SK 23073, S32 1DD), which is well signposted within the village and located opposite the outdoor swimming pool. There is a small charge to pay. From the car park, cross over Oddfellows Road and turn right, to quickly join Station Road. At Station Road turn left, and follow this road for approx half a mile out of the village, passing under the railway bridge and past the Cutlery Factory and Design Museum on the way. If you have time to pause here, this small museum makes an interesting diversion, and there is a lovely country shop and café. Just before reaching the stone bridge over the river Derwent at Leadmill, cross over the road and follow a public footpath off to the left, signposted to Grindleford and for Harper Lees. This path follows the river bank for a couple of miles into Grindleford. It is especially pretty in the Springtime, when bluebells, cow parsley and wild garlic are in full flower. When you reach a farm signed Harper Lees, note that the footpath continues through a kissing gate to the right of a cattle grid, and enters a grassy field. Walk straight across the field, following a fairly well trodden path, while the river bends off to the right for a short distance before meeting up with the path again as you continue through the next field. Ahead you will see another kissing gate and a sign to show that you’re entering Coppice Wood. This is part of the National Trust estate at Longshaw. The path continues straight ahead, all the time keeping the River Derwent to your right. This beautiful deciduous wood is home to a wide variety of wildlife and makes a great spot for a picnic or a rest stop. Watch out for dippers and wagtails on the river. Cross the road here and turn left, heading slightly uphill on the footpath. 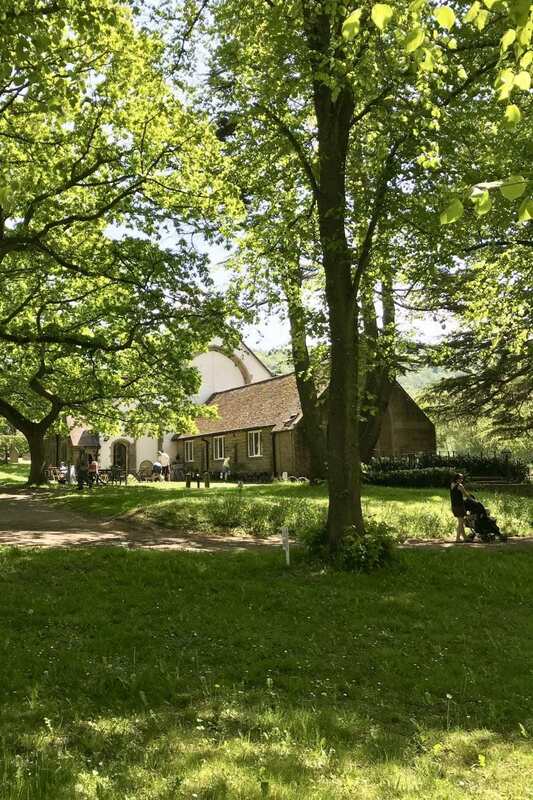 Directly opposite is the Grindleford Shop and Café, located in St Helen’s Church. This community-run establishment is well worth a visit. It is staffed by volunteers, all of whom came together to save their village shop when it was threatened with closure. Continue uphill with the Grindleford Shop on your right, crossing the road to stay on the pavement. If you want a more substantial meal by this stage, The Maynard pub is a great halfway point. A short distance after passing The Maynard, turn left on to a small side road signposted to Grindleford station. 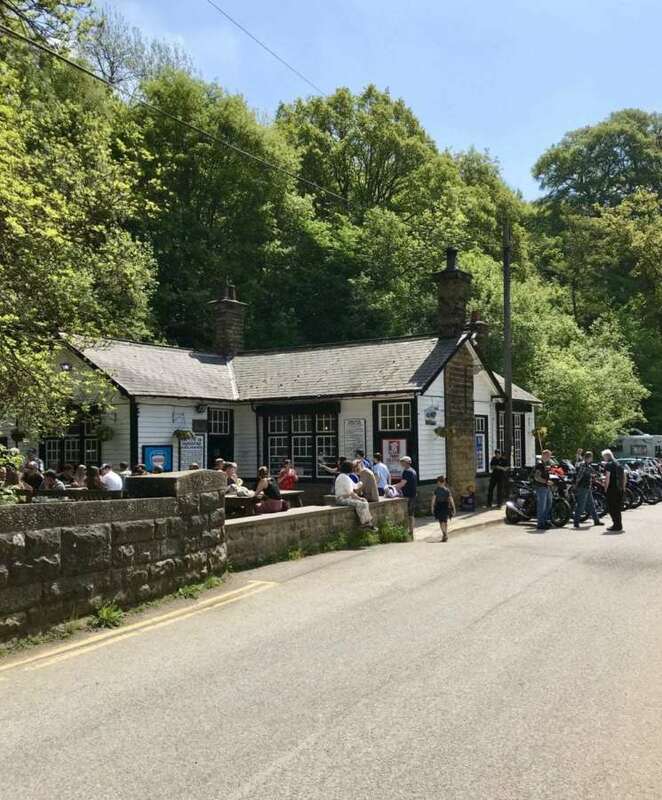 At the bottom of this road is the wonderful Grindleford Station Café, which sells huge portions of honest, good quality food; the chip butties and pints of tea are legendary. After a short distance, look out for Padley Chapel on your right. This Grade I listed building, cared for by English Heritage, is all that remains of a 16th Century manor house, Padley Hall. It is closed to the public but the grounds make an interesting diversion off the track. Follow this well-made path, eventually passing a farm on your left hand side. If you would like to take a short cut, turn left at this farm to follow a path signposted to Hathersage, which takes you back downhill to join the river path that you started on. Otherwise, continue on the path slightly uphill, until you reach a wide gate and meet up with the A6187. At the road, turn right on the footpath for a very short distance before crossing carefully and taking the road on the left, signposted to Ringinglow. Please be aware that there is no pavement here. 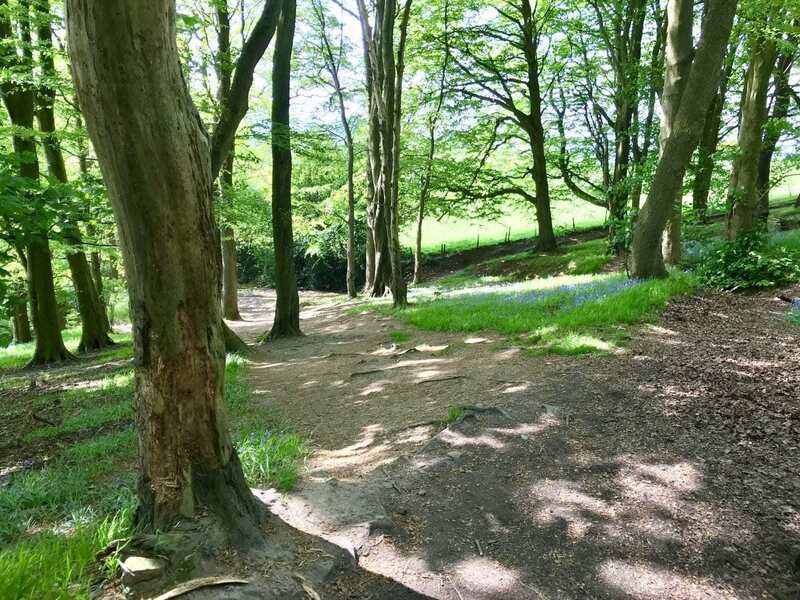 Walk beside an area of woodland, known as Whim Wood, which will be to your right hand side. As soon as the woodland ends after approx. 200 metres, cross the road and take the public footpath off to the left, with stone walls to both sides. As you walk along this path there are wonderful views of the Hope Valley to your left, and behind you the mighty gritstone outcrops of Millstone Edge and Higger Tor. Just as the path bears right towards a distinctive, castlellated house (Scraperlow Hall), take a grassy track off to the left beside a stone wall, keeping the wall to your left and an open field with gorse bushes to your right. As the wall ends, turn left and drop down through the gorse towards a small gate set within stone walls. 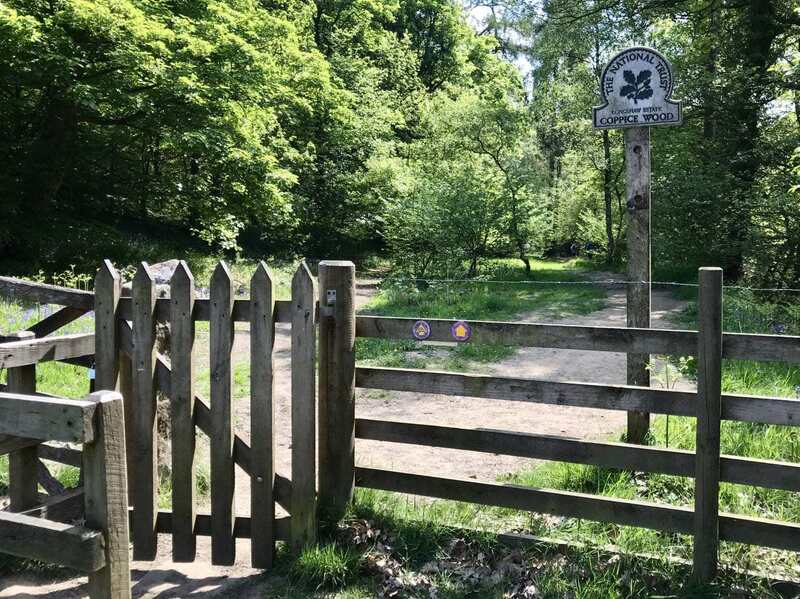 Going through the gate, the narrow path drops quite steeply down through beautiful beech woodland, scattered with wildflowers in the Spring and Summer. Take care here as the path is quite uneven in places. Follow the path for approx. 400 metres and then watch closely to take a side path heading down and off to the left through the trees, towards a small gate. Continue down the hill into the village if you wish to browse the shops or need refreshments. Otherwise, take the first road on the left, Crossland Road, and follow this road, bearing left at the bottom of the hill where it becomes Oddfellows Road. The car park starting point can be found on the right hand side after approx. 300 metres.